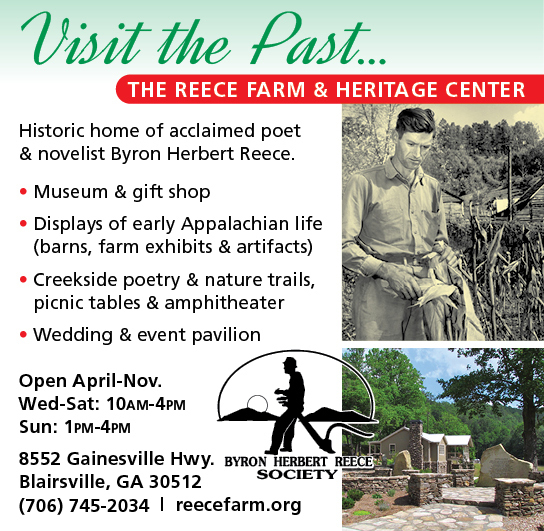 The Historic Reece Farm is located in Union County, Georgia, just south of Blairsville. 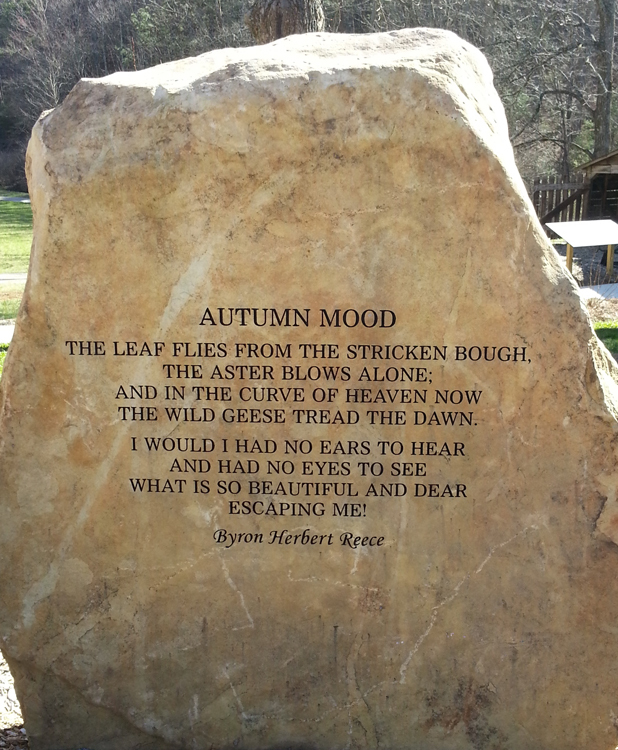 The home of acclaimed poet and novelist Byron Herbert Reece, the Farm is a place to learn about the man and about rural life in Appalachia in the mid-20th century. It’s also a place to enjoy the beauty of Wolf Creek and the surrounding mountains. 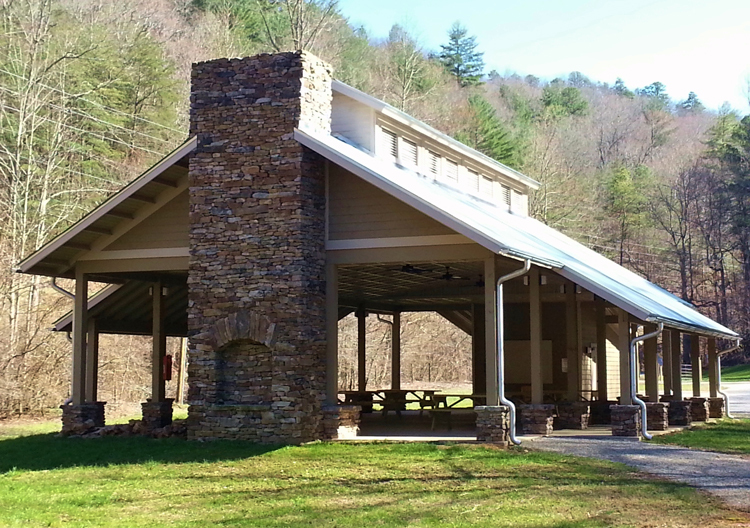 And if you’re planning a wedding or other event, it’s the perfect location with a pavilion, event facilities and picnic tables. 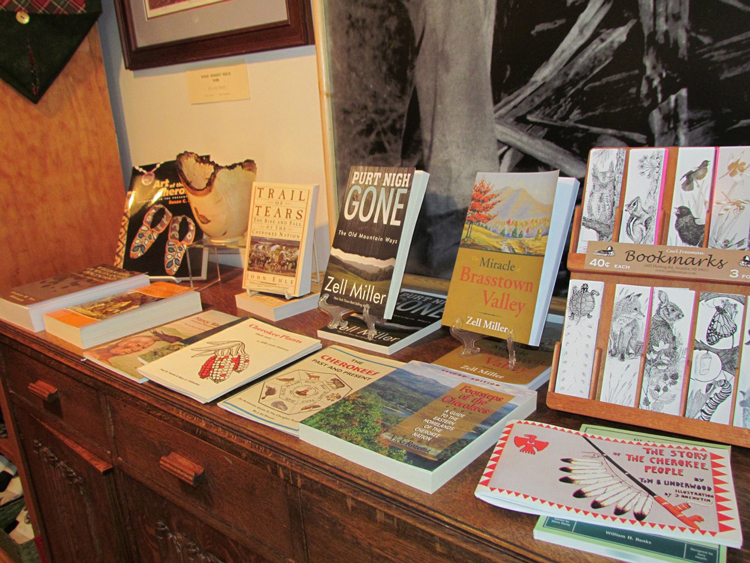 The Farm consists of a Visitor’s Center, Poetry Trail, Reece’s writing studio, the Main Barn with exhibits and the Reece Gallery, the Corn Crib, the Chicken House, the Smokehouse and the Spring House. 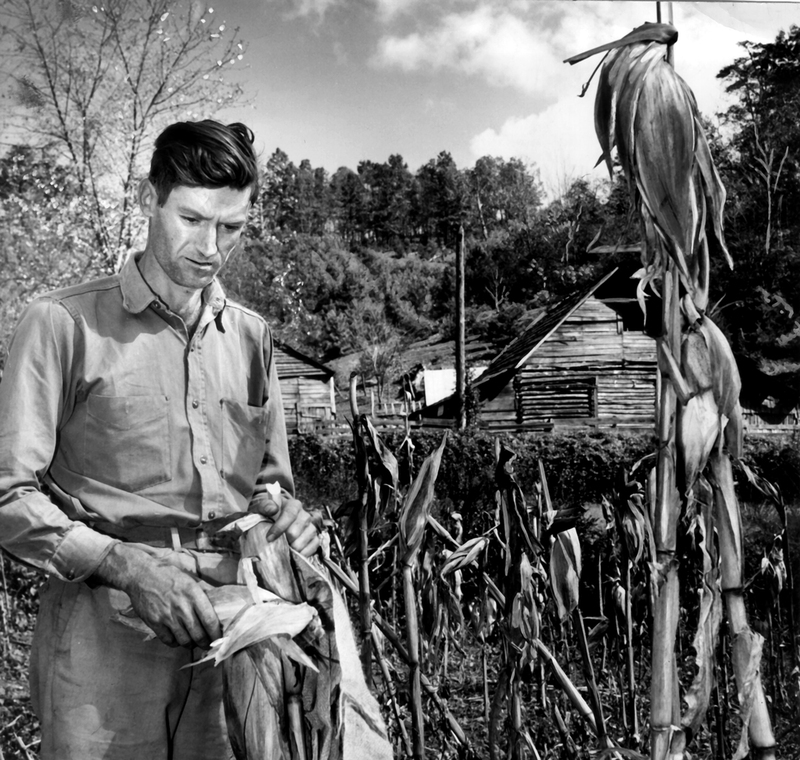 State-of-the-art exhibits tell the story of the small farmer in Appalachia, showing the tools and methods used to grow food to feed the family. 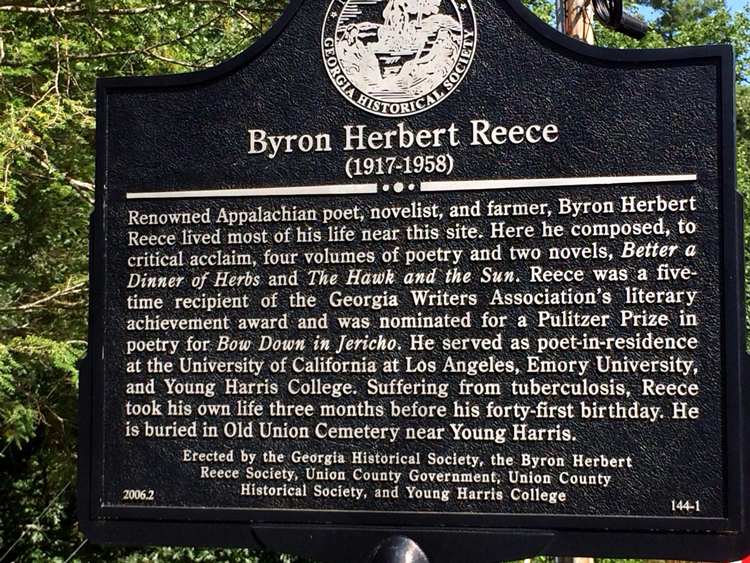 Reece and farming are linked, both in his way of life and in the rhythm of his words on the page. Typically open April through November (call to verify hours), you’ll find the Farm on US 129 South, about one mile north of the entrance to Vogel State Park. For a self-guided tour and more information, download the app available from iTunes or Googleplay.